Rain or shine, Paris is one of the most beautiful cities in the world. Though you always wish for some sun when you’re off on your holidays, you can’t control mother nature. 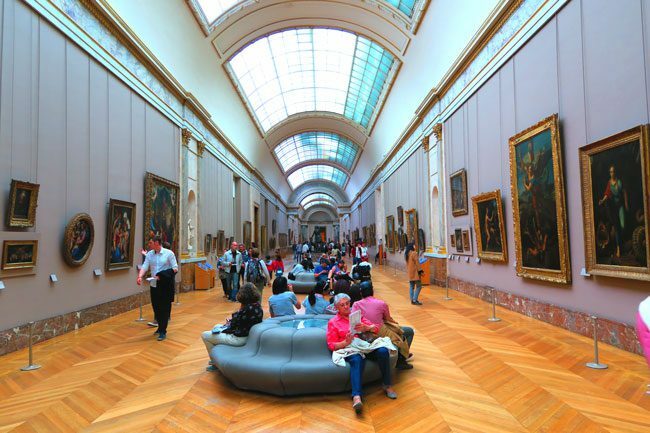 The good news when it comes to Paris, is that there’s loads you can do on a rainy day. 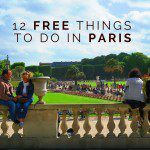 In this post, I’ll share with my best ideas for a rainy day in Paris. 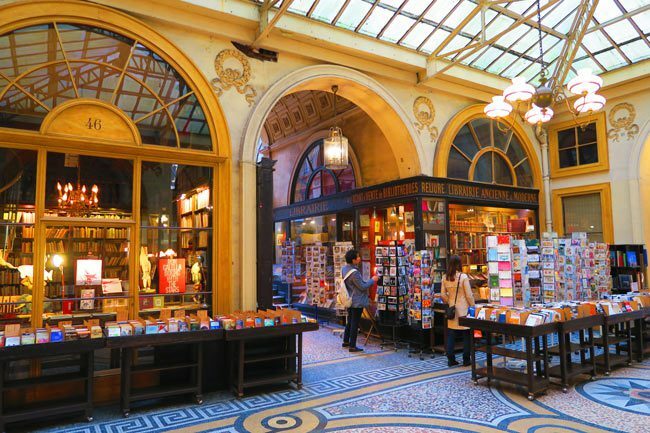 So have no fear, I’m here – with some rainy day tips for Paris! 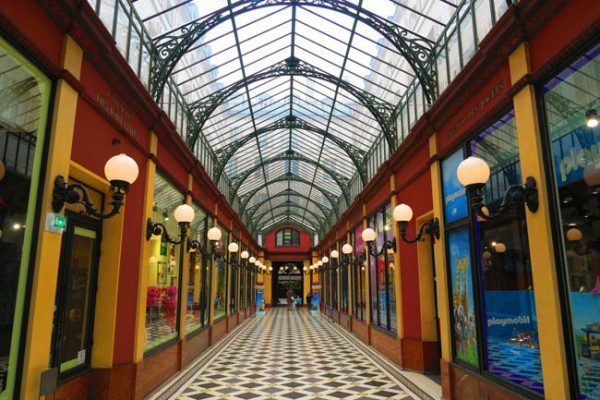 Paris is dotted with covered shopping streets that are known locally as passages. These were once very common in Paris but most were bulldozed during the Haussmann era to make way for the tree lined Grands Boulevards we see today. The passages are mostly covered with a glass ceiling, giving you the feeling of being both outside and inside at the same time. 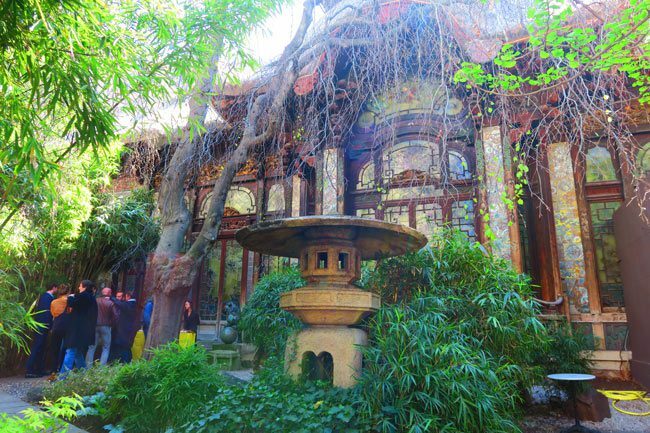 Each passage has its own specialty, ranging from Indian food to stamp & coin collections to trendy cafes. 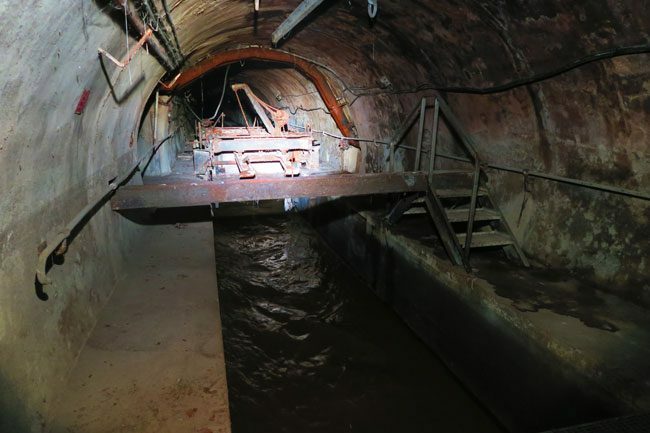 And the best part is that it’s possible in some cases to just hop from one passage to another – without getting wet in the rain. Exploring the passages is a great idea for a rainy day in Paris. In fact, this is exactly what led me to discover this little Parisian gem. 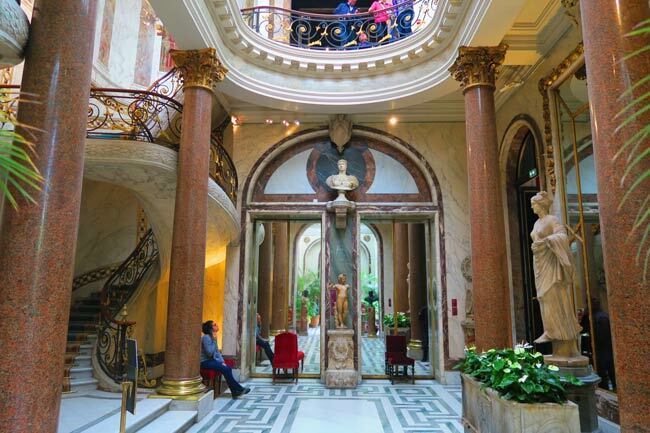 Find out how I spent a rainy day in Paris exploring the classic passages. 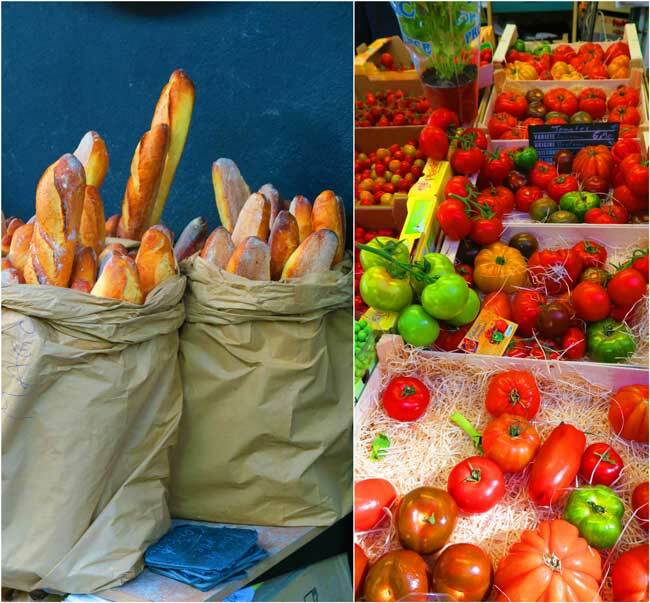 One of the best ways to get to know the local side of Paris is by visiting its food markets. 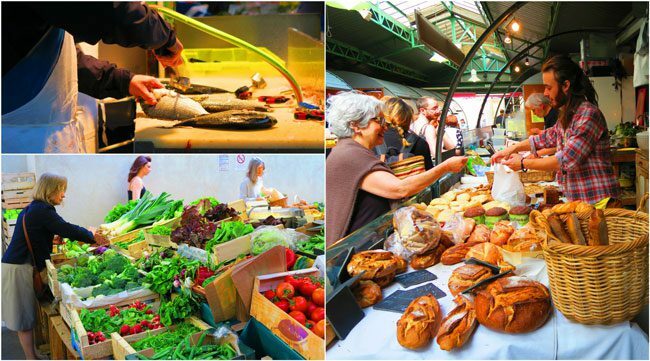 Most Parisian neighborhoods have a permanent market and a few that take place on certain days of the week. 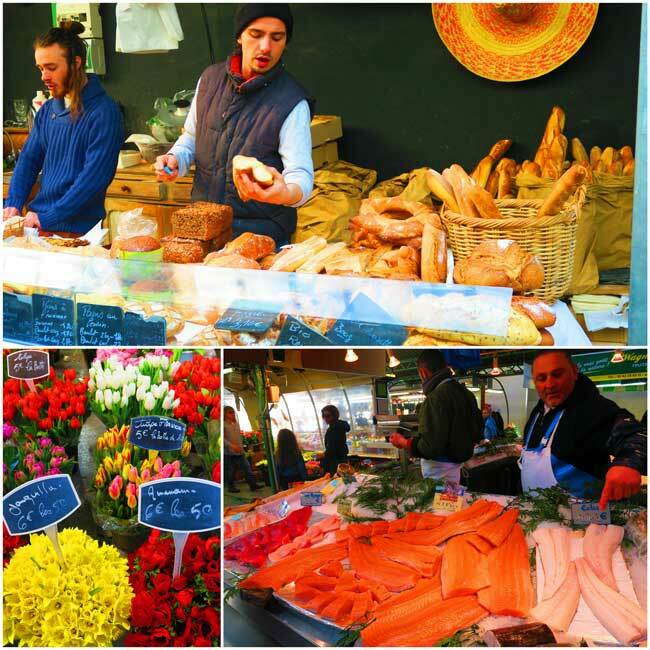 I personally love food markets in general, and I covered the best Parisian food markets in this post. I found the ones in Paris to have that extra chic factor to them, whether it’s in the way potatoes are flavored beneath roasting chickens, or the vast selection of fine bread & cheeses or maybe it’s the way fruits & vegetables are so artistically arranged on display. In any case, the point I’m trying to make is that if you’re looking for ideas for a rainy day in Paris, just head out to one of the covered markets. 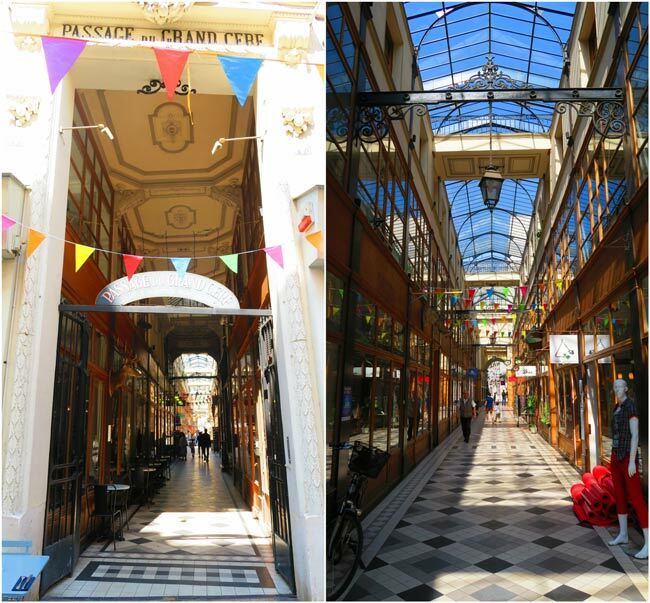 My favorite covered market is the Marche des Enfants Rouge in the super trendy Marais. Their added bonus is that aside from the usual market goodies, you can also grab a pretty good meal in one of the food stalls. Parisians love to go to the cinema and in fact, there are quite a few super famous cinemas around town. 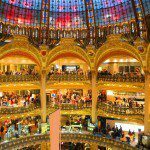 Montparnasse is well known for its score of cinemas and the Grand Rex Cinema is Europe’s largest, drawing in the crowds with its flashy exterior since the 1930’s. 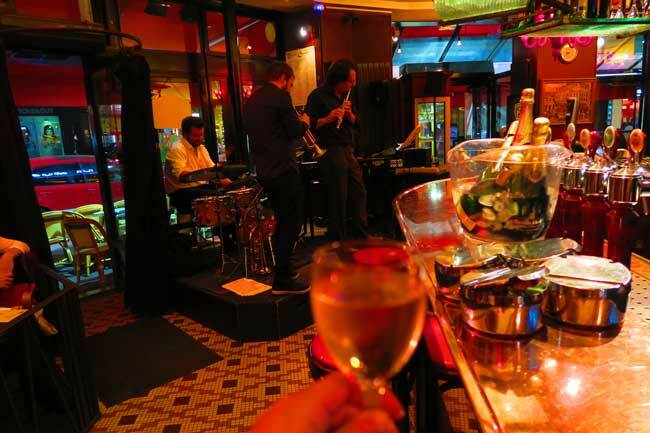 If you want to mix in with the bohemian crowd, head over to La Pagode cinema in the Eiffel Tower district. You can grab a glass of wine in the Japanese garden, before heading inside for that indie film. It’s true that most films in Paris are unfortunately dubbed over (I could never understand why but this would explain why the level of English is not amazing here, to say the least), but you can still find a few versions originales. Like their love for the cinema, Parisians love jazz. This love probably dates back to the post war era, when American soldiers stationed in France brought with them this strange new sound. 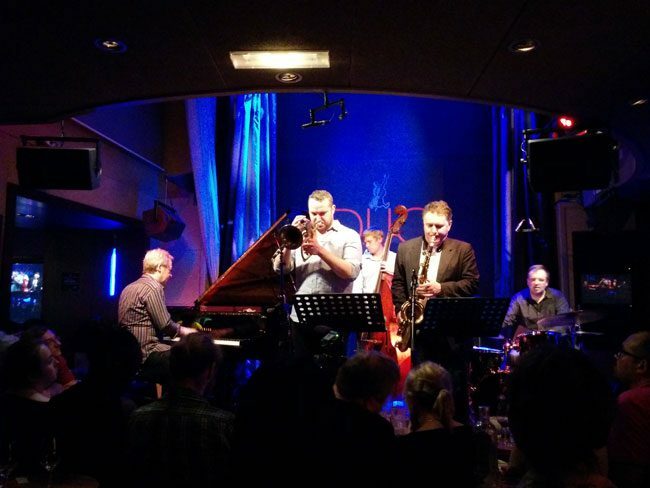 Maybe it’s because Parisians were just so in love with anything American at the time, or maybe because they never heard such sounds before – whatever the case might be, jazz is an as common in Paris as it is in New Orleans. There are quite a few legendary clubs in Paris, with a good concentration around the Châtelet area. 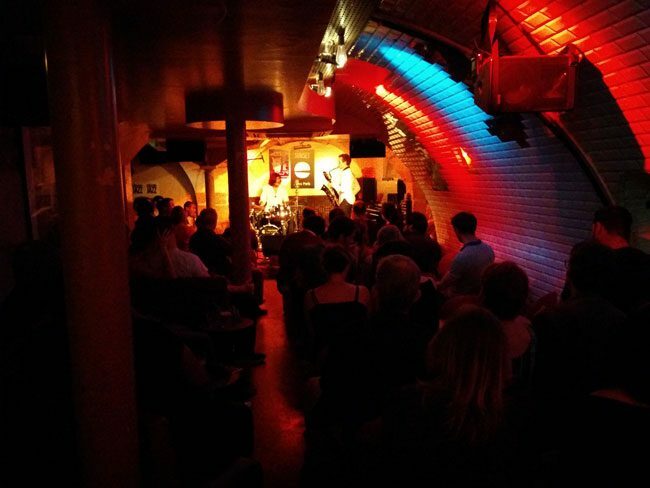 Check out what’s on at the Duc des Lombards and Sunset Sunside and head over on a rainy day in Paris. 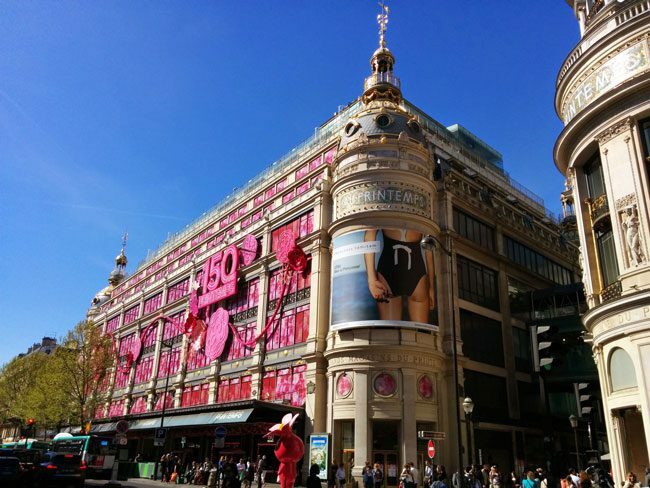 If you thought the Macy’s in your town was pretty nice, wait until you get to Paris. 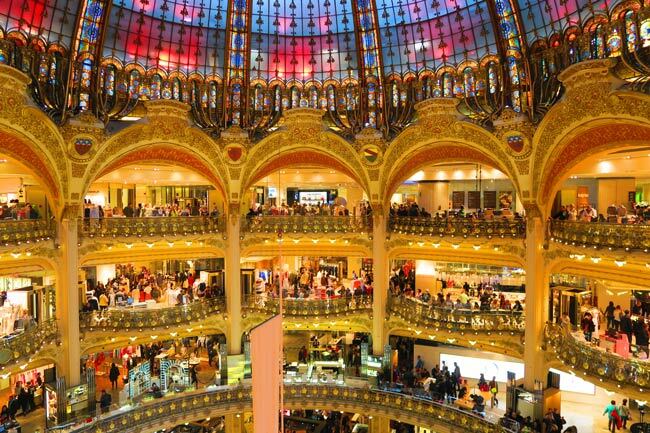 Head over to Galeries Lafayette and just look up. Their famous interior dome will certainly take you back in time to ‘Art Nouveau Paris’, and probably make you spend some money. They also have a pretty good food shop just across the street, that’s worth checking out if you want to take some foie gras back home. But things are not that easy for Galeries Lafayette, with their long time rival just meters away. Le Printemps is not too bad either, famous for its gilded domes, always interested display window and a superb outdoor terrace that’s got one of the best panoramic views of Paris (when it’s not raining of course). Always inquire about visitor discounts. Those can sometimes climb to 15% off your store purchase, yay! 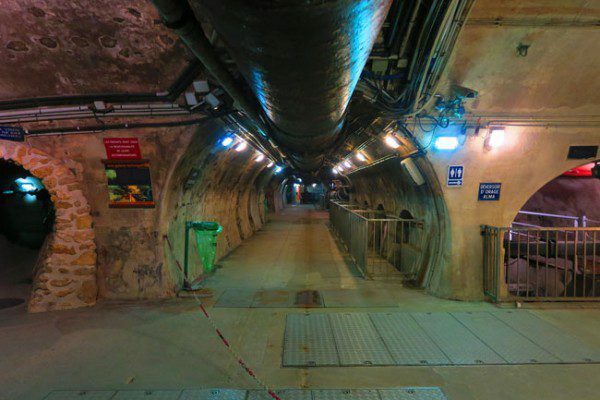 It’s surprisingly not too smelly down in the Paris Sewer System Museum, especially considering you’ll be walking along an open sewer that’s running beneath major Parisian boulevards. 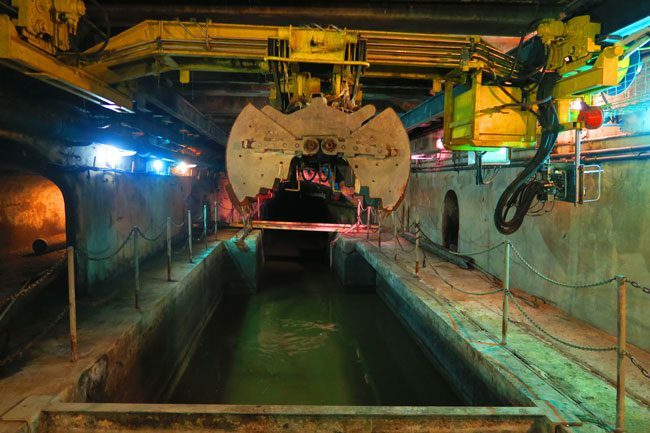 The underground museum shows you how Paris has coped (and still coping) with water & waste management. It’s fascinating to learn how the city overcame huge challenges, some of which threatened its very existence. If you love those ‘how to’ shows on the Discovery Channel, you’ll love this place. 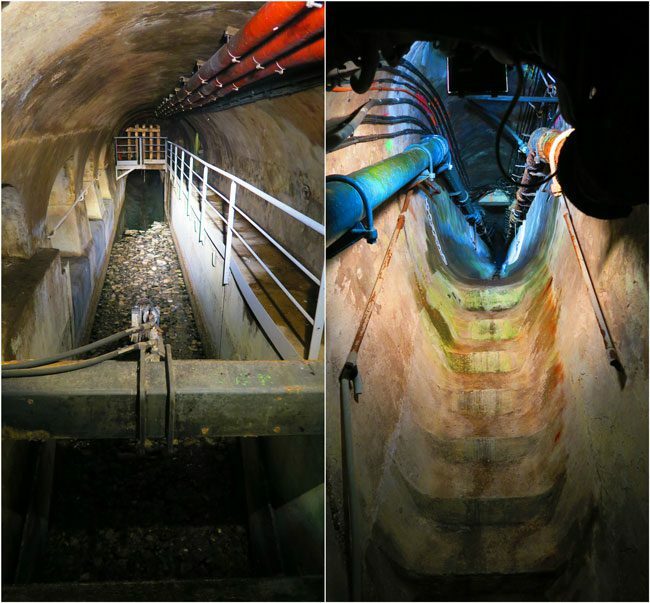 And for a mere €4.50 entrance fee, the Paris Sewer System Museum is a great idea for a rainy day in Paris. You might be thinking that visiting a park on a rainy day in Paris is not the best of ideas. But the Jardin des Plantes is much more than just a pretty green space in the Latin Quarter. 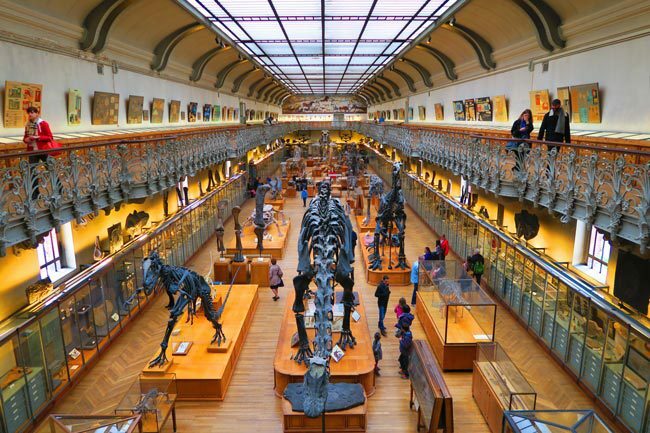 Since botanic scientists have set up their labs around the park in the 17th century, the Jardin des Plantes has been more of a science hub, than just an ordinary park. 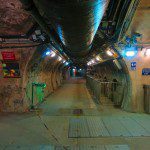 Throughout this massive complex, you’ll find many attractions suitable for families or just scientifically curious folks. 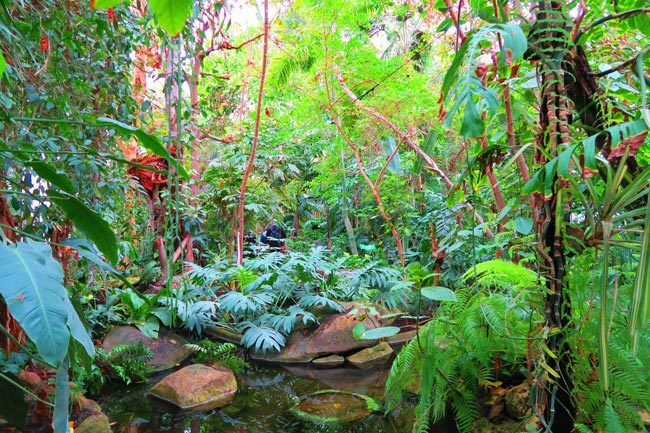 I visited the tropical hothouses, where you can see thing from the comfort of the canopy, and also paid a visit to the Museum of Natural History, where you can catch a glimpse of scary looking ancient species. The Latin Quarter is one of the most interesting in Paris. 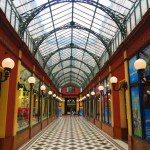 Check out this Latin Quarter guide. When I first moved to Paris for 3 months, my local friend Isabelle, thought it’s a good idea to quickly get me up to speed with the local customs. 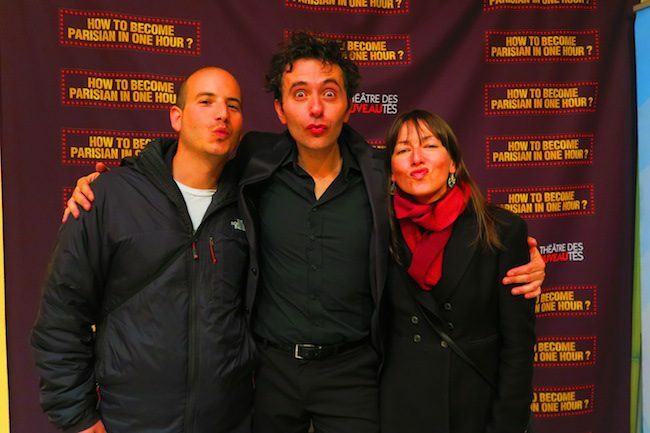 So she bought us tickets to French comedian Olivier Giraud’s hit show – How to Become a Parisian in One Hour. Giraud tackles all the Paris stigmas and within 60 minutes, teaching you how to behave like a true Parisian: in the metro, at a restaurant, in a cab, in a shop but also the do’s and don’ts of hitting on Parisian girls (and knowing when they’re faking it). Believe it or not, there are loads of locals who come to watch as well as the tourist crowd. It was super funny and I did take some notes down. 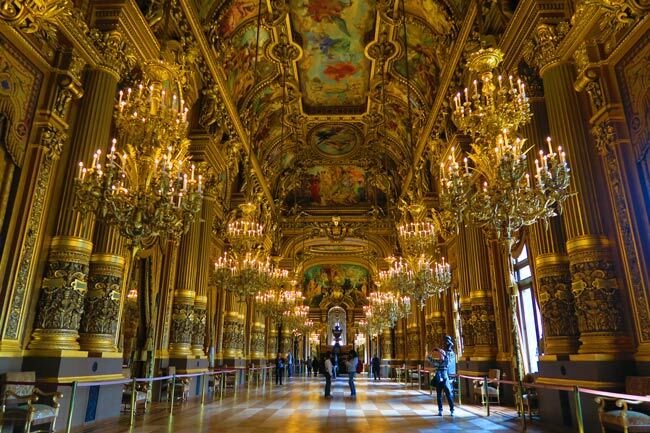 Located in the center of Paris, the Palais Garnier is even more beautiful on the inside than it is on the outside – and that’s pretty hard to imagine. 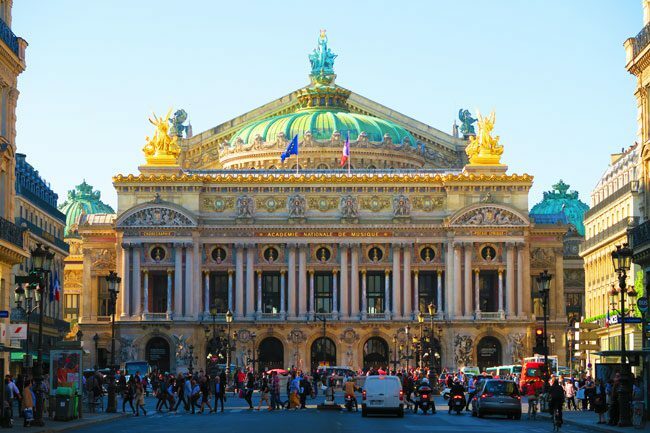 Home of the Opera National de Paris, this late 19th-century masterpiece is commonly known as the Opera Garnier. Inspired by Classic Italian architecture but finished off in classic French from, the Palais Garnier was purposely designed to take your breath away. 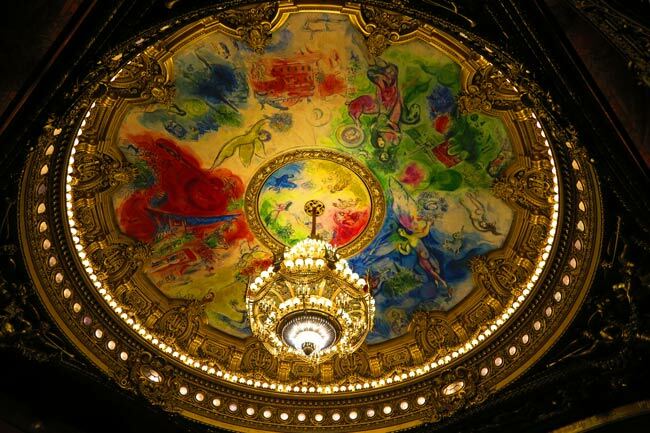 Put on your aristocratic costume and climb the famous Grand Staircase to the auditorium, whose ceiling is decorated with the famous Chagall fresco. The Palais Garnier is also where the legend of the Phantom of the Opera began and if you can’t make it inside for a concert, at least take the time to visit. It’s a great idea for a rainy day in Paris! 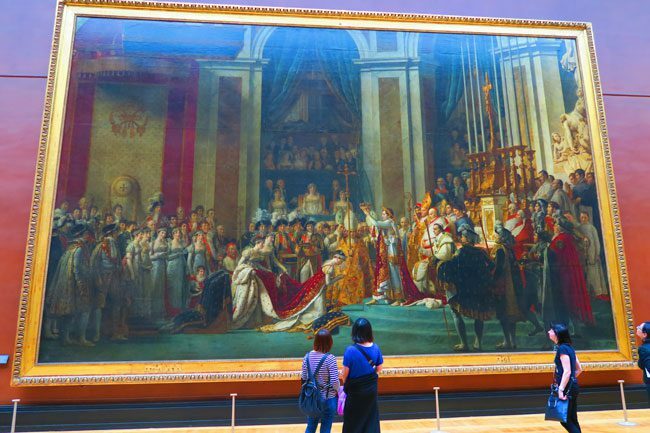 I visited Paris on quite a few occasions, but I must admit that it was only when I moved to Paris for three months, that I finally paid a visit to its awesome museums. And my God, I just kept coming back for more. Paris is essentially one giant museum, because as you’re walking through town, you get to see incredible monuments. 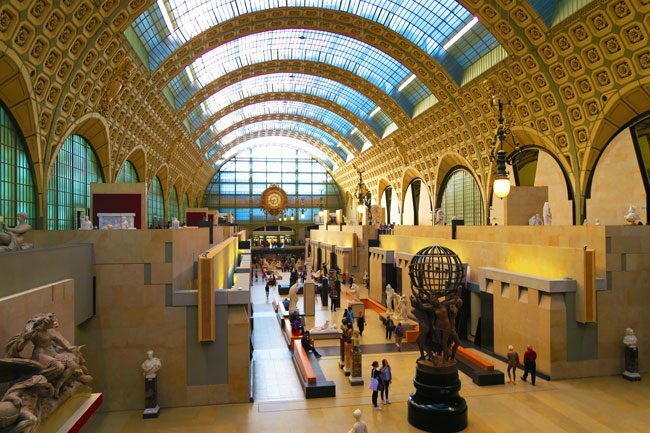 But to really see its treasures, you just have to venture inside its museums, and that can be a daunting task when you’re talking about the likes of the Louvre and the Musee d’Orsay. 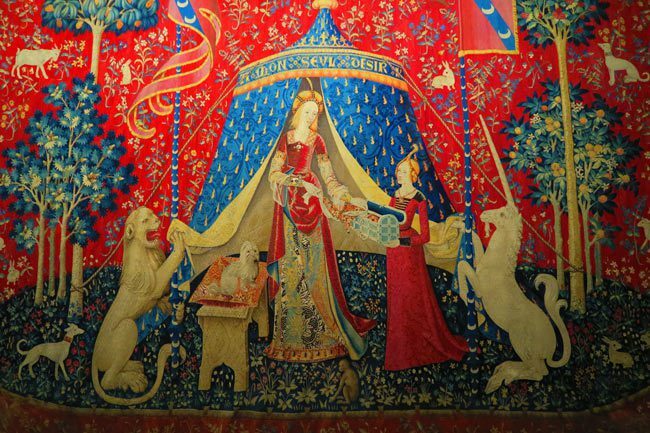 These particular two, especially the Louvre are h-u-g-e. So the best advice would be to just pick a part of the museum that you want to see and concentrate on that. 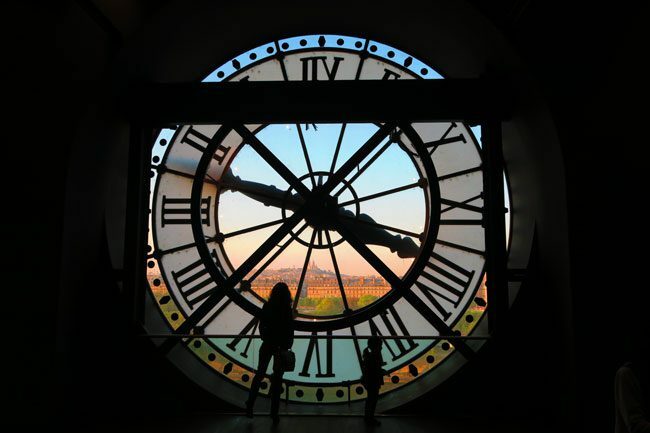 A few other tips to consider are: buy your ticket in advance online and look out for days when the museum is open until late, with reduced fare. 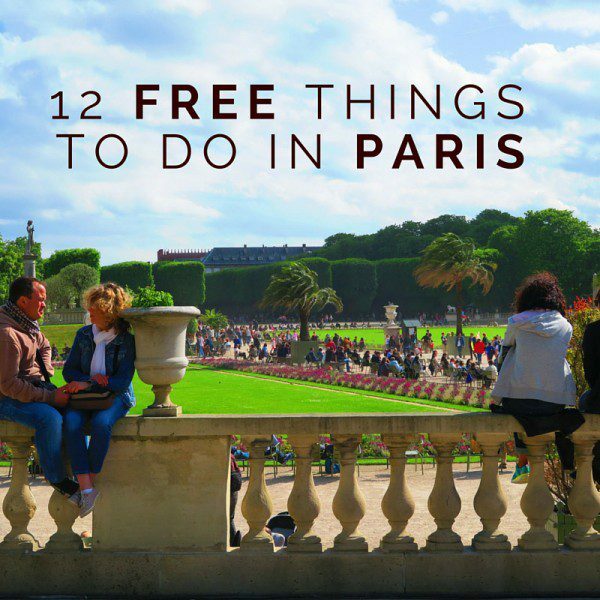 As you can see, there are plenty of ideas for a rainy day in Paris. 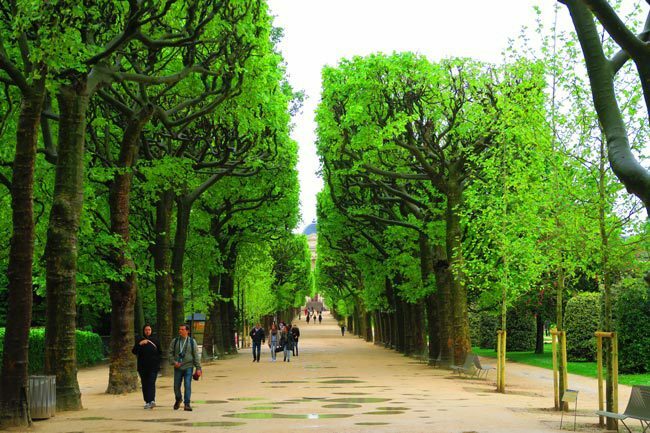 When the sun is shining, there are few cities in the world that reward those who explore by foot like Paris does. But when it rains, and it will rain a lot, there are tons of great things that you can do! So have no fear. Rain or shine – you’ll have an amazing time in the City of Lights!